Available in all Trica fabrics, vinyls and bonded leathers. COM option (customer's own material). 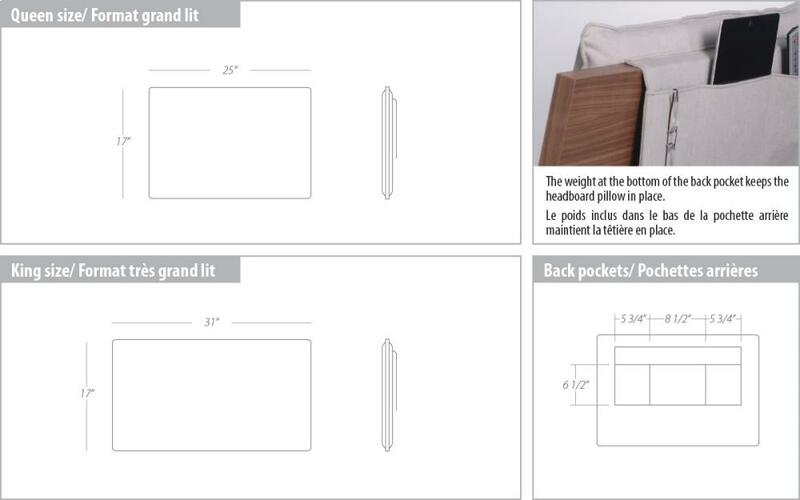 The weight at the bottom of the back pocket keeps the headboard pillow in place.